Mormons love to tell non-Mormons about famous Mormons. If you’re a football fan, a Mormon must mention that Steve Young is a Mormon; if pressed he or she might mention Ty Detmer. Mitt Romney and Orrin Hatch get mentioned in the conservative political arena. Mormon democrats [cough, sputter] will mention Harry Reid. Until recently, ex-football player turned Little House on the Prairie actor Merlin Olsen was the top actor mentioned. 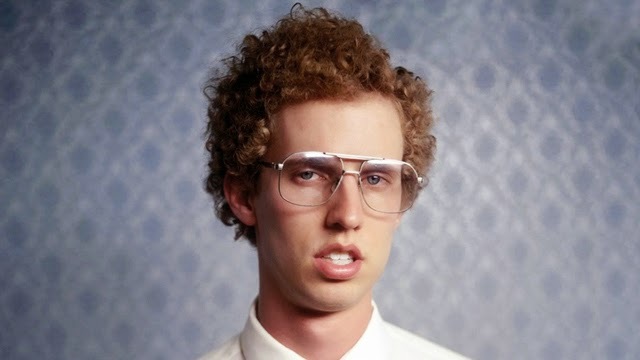 Now we’ve got Napoleon Dynamite to give us some tots. Gladys Knight, David Archuleta from American Idol and Stephanie Meyer of Twilight fame can keep us entertained. The catch is that we generally don’t claim someone as Mormon unless they are “active” (which I personally think sounds like a term for a terrorist cell). This is why Paul Walker and Alice Cooper don’t generally get mentioned. Mormons are kind of like Canadians in their need to mention famous Mormons (e.g. “Hey, did you know Brian Adams is Canadian?!”). I think it stems from some kind of persecution complex, which dates back to getting kicked out of Missouri and Illinois. We feel the need to validate our beliefs by associating ourselves with famous people that aren’t fringe weirdos like the rest of us. If we can get enough famous people, maybe everyone will stop thinking we’re a cult, right? Maybe if Canada can produce enough famous Canadians they can stop being the United States’ little brother. This must be why there are so many rumors about people that are Mormons that aren’t really Mormons. I can’t tell you the number of people that have tried to tell me that Steve Martin is a Mormon (“No! Seriously! My brother’s girlfriend’s cousin baptized him in California, I swear!”). My personal favorite Mormon rumor is NBA player Shawn Kemp – his demeanor on the court must make him an obvious candidate, right? Dennis Rodman - had all tattoos removed after hearing President Hinckley speak. Kim Jong-Il - didn’t have to lean back during baptism, just squatted slightly. 50 Cent - got interested in the church because his name is a common denomination for children’s tithing payments. Paul Revere - was coming from his baptism just prior to his famous ride. John Wayne Bobbit and Lorena Bobbit - sewed things up in their marriage and were later sealed in temple. So please, spread the rumor. Remember – there’s no such thing as bad publicity. Governor Boggs probably had no idea of the far reaching implications of his actions. This post was originally published May 5, 2011. A-Dub currently lives in Portland, Oregon, but grew up in the Midwest. After a mission to Argentina and a degree from BYU, Aaron received an MBA from the University of Washington. Consequently, he is a data-driven corporate sellout who thinks the government should generally mind its own business. A lifelong Mormon and former counselor in a bishopric, Aaron feels that the eccentricities of Mormon culture should be made fun of as much as possible, that the main point of the gospel is to be like Christ and help others, and suspects that – whether openly or covertly – everyone likes Neil Diamond. He and his amazing wife have two boys.